We are extremely excited to be introduce to you our Teddy Bare nappy. Our Teddies are an amazingly versatile and popular nappy. The Teddy Bare is a side snapping nappy, this means the front of the nappy overlaps the back tabs, rather then the back tabs overlapping the front panel of the nappy. It gives you a flat front on the nappy and helps show off the cute prints a little more. The picture below helps demonstrate this. The nappy has two rows of snaps allowing you to adjust the fit for the legs and waist separately. You can snap the right size for the legs and then snap further back (1 or even 2 snaps) to get it tight on the tummy. Tummy elastic also enables a firmer fit in the front, eliminating tummy gape. The nappy has been designed to fit a large size range of children from about 4.5–5kg through to about 18kg. The nappy may fit from newborn depending on the size and proportion of the baby. Even little babies can find a good fit being wrapped up in our Teddy Bares. 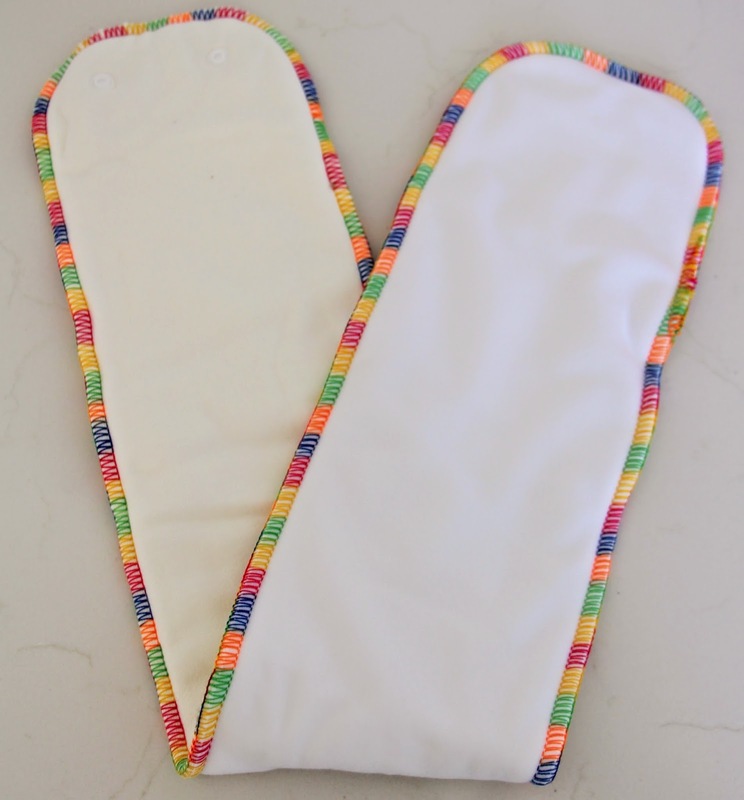 The absorbent pad of the nappy is a 65cm long foldable insert which is topped with microsuede. You can also fold it back on top to have bamboo fleece against your child. The insert can be folded in half or more towards the front if that is where you use it. The bamboo is beautiful quality 450GSM fleece, making it very thirsty. 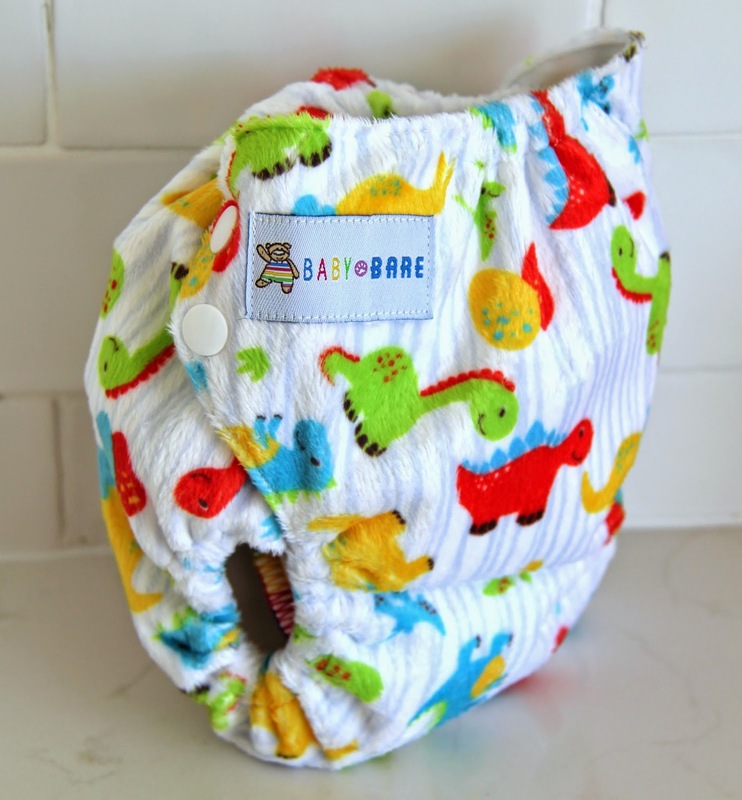 Can I use my existing Baby Bare inserts in this nappy? Yes. The Snap in soaker set from the Bare Cub nappy fits in this nappy, as does the Honey Pot insert. While they snap in, you may want to lay them in and further towards the front to stop them creating a bump in the crutch where they end. Can I buy extra inserts for the Teddy Bare? Yes, you can purchase additional snap in inserts for the Teddy Bare. They are listed with inserts and boosters on our website. How does this nappy fit for such a wide range of sizes without adjusting the rise? The nappy will naturally fold across the front rather then needing to snap down. 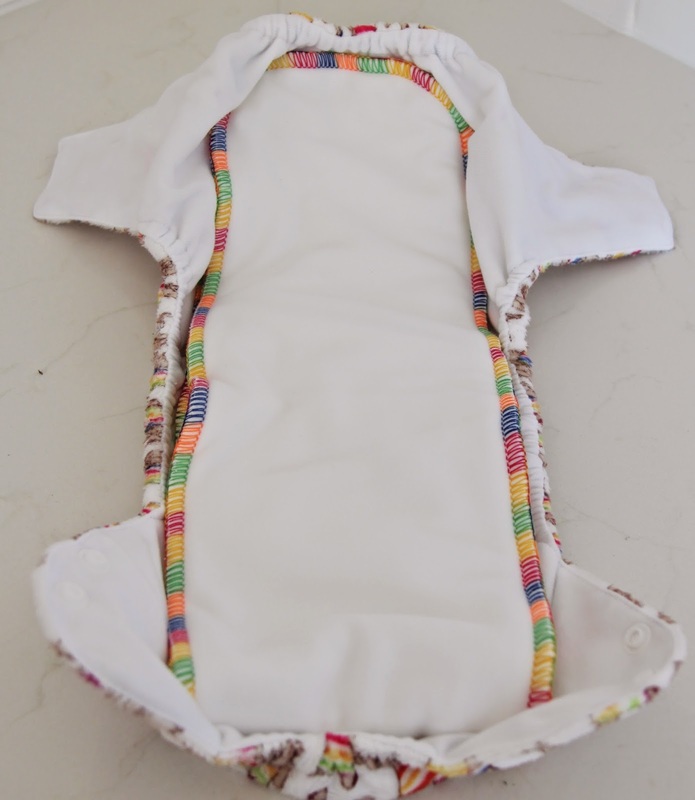 This allows a more natural fit as the nappy will fold to suit your child in the rise if there is excess fabric. The nappy will also sit higher across the tummy on smaller babies, and move towards the hips as they grow. The snaps also adjust the waist and rise as they pull the nappy further up and back to fit on smaller babies. Can the nappy be boosted? This nappy is extremely absorbent for day use. In the event you feel you need more absorbency it can be placed under or folded into the snap in insert. There is plenty of room to add a booster to this nappy, you may however find you need to adjust the snap sizing when filling the nappy more. The nappy can also be converted for night use with a night booster, or you can buy the dedicated night insert set which includes a wider insert for extra absorbency. How does the fit compare to the Bare Cub nappies? Teddy provides a different fit and adjustment to our Bare Cub nappy. The width between the crotch is slightly wider as is the rise of the nappy. The nappy fits a wider waist as the double snaps along the side allow it to open up wider for larger tummies and thighs. The insert also effects the fit, this insert allows a lot of customisation which can help fit and absorbency depending on where it is placed. Find below some great images of the Teddies in action.